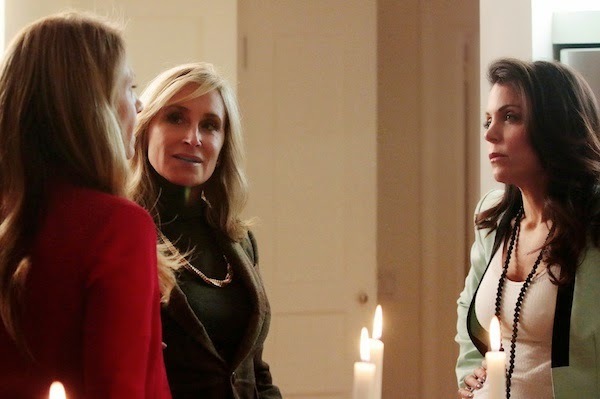 TV-Recaps-Reviews: Tuesday Cable Ratings - 'Real Housewives of Beverly Hills,' '19 Kids and Counting,' 'Tosh.0,' 'Being Mary Jane,' 'Justified' & More! Tuesday Cable Ratings - 'Real Housewives of Beverly Hills,' '19 Kids and Counting,' 'Tosh.0,' 'Being Mary Jane,' 'Justified' & More! On April 7, 2015, Bravo's The Real Housewives of Beverly Hills was the highest rated show on cable with a 0.89 - followed by TLC's 19 Kids and Counting (0.74), Comedy Central's Tosh.0 (0.66) and ESPN's Women's College Basketball (0.65). Women's College Basketball was the most viewed program with 3.081 million viewers - followed by 19 Kids and Counting (2.287), The Real Housewives of Beverly Hills (2.128) and OWN's If Loving You Is Wrong (2.025). No rating information was made immediately available for Bravo's Watch What Happens Live; DirecTV's Billy & Billie; E! 's E! News; FYI's Find My First Love; History's Blood and Glory: The Civil War in Color; ID's Cause of Death, Redrum & House of Horrors: Kidnapped; National Geographic's Building Wild; Oxygen's Funny Girls; SundanceTV's Behind the Story with the Paley Center; Syfy's Haunting: Australia; and WGN America's Outlaws Country.